Chinchillas are very sensitive rodents and often come down with ileus, also known as gastrointestinal stasis. If something is going wrong in a chinchilla's body, their intestines, or guts, will typically be the first things affected. It is important to recognize the signs and symptoms of ileus so that you can act fast if you chinchilla gets sick. Your exotics vet may have a combination of drugs that work for them or they may want to try a few different things. Regardless of what specific medication that is prescribed there are usually certain types of drugs that work well to relieve the symptoms of ileus. Gut motility drugs, such as metoclopramide (Reglan) or cisapride are usually prescribed along with a pain medication. Drugs to decrease the amount of gas, such as simethicone (Gas-X), are sometimes recommended, as well as probiotics and other medications. Force feeding if your rabbit isn't eating is a must since food needs to be put in to get poops coming out. Oxbow Critical Care is a popular and effective choice for rabbits with ileus. It is more nutritionally complete than other similar products and chinchillas typically like it. It is fed using a syringe and comes in two flavors, anise (the original flavor) and an apple-banana flavor. It is a powdered hay formula that you add water to so it can be pushed through a syringe. If your rabbit won't take Critical Care or you do not have access to any, ground up chinchilla pellets mixed with water, or mixed vegetable baby food (without potato or starch in it) are alternatives. Your vet will tell you how much food you should syringe feed your chin but it will probably be about 10-20 ml's twice a day or so. If your chin is eating a little on his own you should syringe feed less to encourage him to continue eating without assistance. What Should a Chinchilla Eat To Prevent Ileus? Chinchillas should eat a pile of grass hay (timothy, orchard, Bermuda, etc.) the size of their body a day (if not more). Alfalfa hay is too high in calcium to offer as the sole hay source but offering it mixed in with the grass hay is fine. Chinchilla pellets are the least important part of a pet chinchilla's diet. 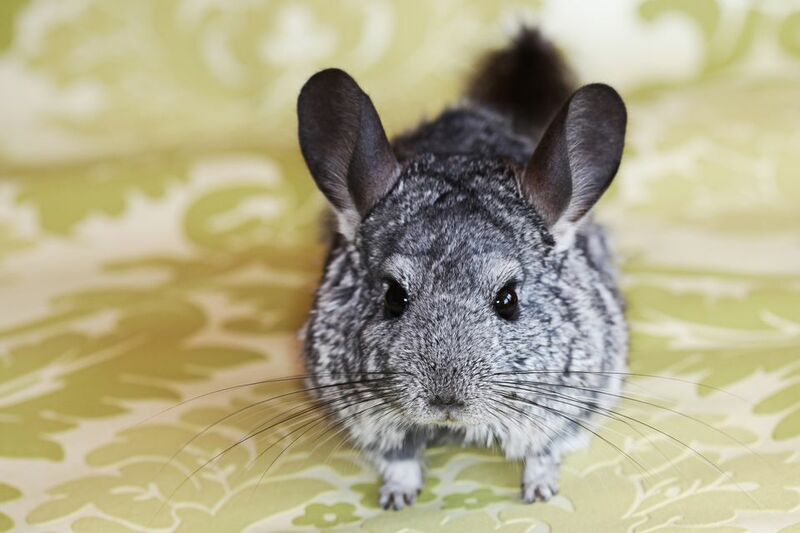 A pet chinchilla can get one to two tablespoons of pellets daily, no more. Fruit is considered a treat but also isn't really recommended and broccoli, cauliflower, and other gas-forming vegetables should especially be avoided. A chinchilla who may have ileus should also be encouraged to exercise. Create ample and safe space for your chin to run around in or at the very least, massage your chin's belly to encourage his guts to move food through. Your chinchilla may have another medical reason for why he is not eating or pooping. His teeth may be overgrown, he may have a bladder stone, or he may just be stressed out. I've even seen chinchillas have hernias and ileus at the same time. It is important to diagnose the reason why your chinchilla has ileus and not just treat the ileus, otherwise, it may just happen again or the ileus may not go away. If you start seeing small stools don't stop your efforts! Until your chinchilla is eating and pooping normally you should treat him as an ileus case. With quick action and proper treatment, your chinchilla will be back to normal in no time at all. Ileus can be deadly if left untreated so within 24 hours of your chinchilla not eating or pooping you should be starting treatment. If you can't get into an exotics vet in that time frame, start by syringe feeding (mixed vegetable baby food or Critical Care) and offering water in a dish or by syringe.